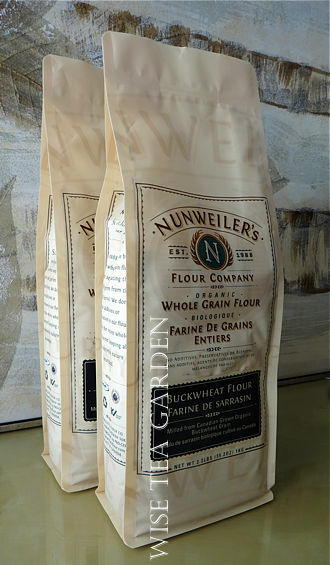 This premium quality flour is milled from Canadian grown Organic grain in a low-temperature impact mill facility in Alsack, Saskatchewan. In the milling process, the bran and germ are not separated from the original kernel of the grain, resulting in the superbly nutritious flour. The use of low-temperature impact milling allows to produce a much superior flour than commercial roller mills since the cool temperatures preserve the vital nutrients within whole grains. No additives, No preservatives, No blending with low quality grain. Certified Organic by Canadian Organic Standards and Pro-Cert Organic Systems. Please squeeze air out of package and store in a cool, dark place. Ingredients: Organic Whole Grain Buckwheat Flour.